This Collider Project is sponsored by the Center for Advanced Defense Studies. 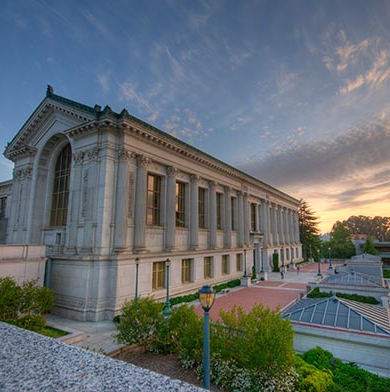 Global acts of terror have become a regular occurrence and have recently affected the Berkeley community directly with the death of two students over the summer of 2016. In response to these tragedies, the best thing we as a community can do is apply our skills to develop tools and technologies to thwart the intentions of individuals and organizations globally who are using modern technology to recruit and finance terror activity. Provide NGOs working in counter-terrorism tools and methods that enhance their ability to an aggregate and analyze data. This will be in the form of a minimum viable product accompanied by market research and a sustainable business model. Yaya previously served as a counterterrorism analyst in the U.S. intelligence community, providing analysis to senior-level U.S. officials, including the President of the United States, while assigned to the National Counterterrorism Center (NCTC). Yaya is currently a Senior Director of Analysis at the Foundation for Defense of Democracies, a think tank based in Washington D.C.
Yaya will be engaging with students remotely to answer questions in the space, and responsible for guiding teams product development. He will also attend the Kickoff Event, Midterm Pitch Competition, and Final Internal Demo Day. FIN delivers a broad array of strategic, advisory, and technical services to a diverse group of financial clients committed to financial integrity. FIN's services, assist clients in designing and implementing financial integrity strategies and systems to combat and protect against the full range of illicit financing threats. Anjali Banerjee, Tyler Heintz, and Alice Ma are undergraduate students who proposed the challenge and are leading the efforts to execute the Collider. They engage with local and international audiences and produce compelling analysis on conflict and security issues. In doing so, C4ADS fills a critical gap left by traditional public sector and profit-driven institutions. Graduate and undergraduate students in data science, computer science, cognitive science, IEOR, public policy and political science are encouraged to apply. Also, those with demonstrated experience or interest in cyber security, crypto-currencies, and anti-money laundering are welcome. Participation will be limited to approximately 20 students and projects will be team-based. Interested students must apply via google form here. We will let you know if you have been accepted by September 14th. Deadline to apply is January 22nd. Note: If you registered for INDENG 190C and are not eligible or cannot participate in the project, you will be required to drop the course.